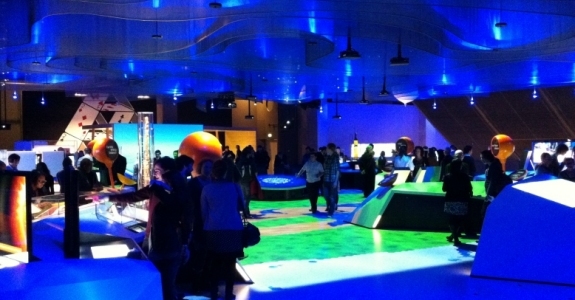 A new gallery Atmosphere – exploring climate science opened just before Christmas in the Science Museum’s Wellcome Wing. TextWorkshop ran a bespoke workshop for the team at the start of the project, focusing on how to write good text for interactives and touch-screen exhibits. The gallery is full of impressive digital screen-based and projected interactives, with some wide-format videos that I loved and wanted to take home. Displayed throughout are the ice cores and read-outs that illustrate the practical evidence of climate science. At the gallery opening I talked to a fellow invitee, who said that her grandfather had been a climate scientist. He had spent weeks at a time living in remote, icy camps, and any of the bearded, behatted scientists in the photographs could be him.